Would you like extra cheese with that? Short answer, you’re not a psychic, you can’t pick the top of the market, and even if you got lucky and did, who’s to say you’ll get equally lucky again and pick the right bottom to get back in. Only a fool would try to time the markets. But now lets get into the juicy details of the question. Unlike you Mr Beerholder, I want the market to crash, you should too. Yes, I said that. Sorry Orca and gcr, I know you’ve both already retired, but you’ll just have to take one for the team here. After the last couple of weeks the market has taken quite a dip. People keep saying “The Crash is coming” with a slight tremble in their voice. Can’t figure out why, they’re not exactly a scary band: http://www.youtube.com/watch?v=ao6jcPRMn9k. So what is it that makes people compare crashes to the love child of the predator and Malema, rather than an event that should be thought of like free cheese? 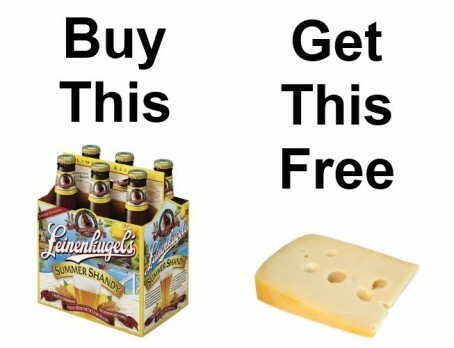 Yes a stock market crash is like free cheese. I’ll explain later. Let’s take you as an example Mr Beerholder. You own R3 million worth of SAB shares, and plan to buy for the next 10 years. At today’s prices, it means you have about 4800 SAB shares. First a brief side path for some of the non-investors here, and explain what a share actually is. In plain English, a share is just a piece of a company. Owning even one share makes you a part owner of the company. You’ll get a portion of the profits, and get to help the company decide what it should be doing in future business wise. They probably won’t listen to you if you only have one share, but you do have the right to be heard! Ok back to the 4800 shares of SAB… This company has split itself into about 1.6 billion pieces, so your 4800 makes you the 0.0003% owner of this magnificent company. Probably not enough to let you walk into the factory gate and demand a free cold one, but with dividends of 1.8% paying you out about R44 000 this year, you could buy enough beers to have your friends over for a braai every weekend if you felt like it. Just make sure they bring the meat and garlic bread. And remember, real men don’t eat salad, that’s what our food eats! These shares have done well (21% in the last year + another 1.8% in dividends), and may continue, may crash, may slow down in future or may in fact increase with even more gusto. Nobody knows, but as I mentioned in another article, the market only goes up, every crash is recovered from, and usually after a crash we get a steep growth curve. In the first we’re going to assume no crash, but slower growth, as most numbers seem to suggest that the market is fully valued and growth may slow. We’ll say it’ll drop to 10% growth per year for the next 10 years. After some mental flexing, I came up with a quick table of how many shares you’d be able to buy with their prices increasing at 10%, and what you’d be worth after 10 years. 11 and a half mil is a pretty good looking total isn’t it! In the second scenario, we’re going for the nightmare on wall street. We’ll assume there’s a crash tomorrow. And not just a tiny 10% or 20% crash, we mean something big. Even bigger than the 2008 disaster which wiped 47% off the worlds markets. We’ll say 50% just to make the calculations easier. As a side note, I thought I’d better brush up on what actually caused the crash of 2008. I tried, really I did, but the writing was dreary and complicated and made me want to eat my laptop. My best guess is that a bunch of banks lent money they didn’t actually have to people who wanted to buy houses they couldn’t actually afford, so that the banks could make a lot of money. Sounds quite similar to a ponzi scheme if you ask me. And like most ponzi schemes, they fell spectacularly, taking every world market along for the ride. Back to the original story where we just had an imagined crash. So Mr Beerholder who had R3m in his 4800 SAB shares now feels like he’s in trouble, all of a sudden he’s crying on the line to his broker that his shares are only worth half of what they were and that he wants to sell before he loses even more. Smart broker, and now for the cheese. You see, my family loves cheese. Even more so since Tim Noakes released his book saying that mielies are Beelzebub and that bacon is the only way to stop World War Z. We must go through nearly 1kg of the yellow gold, er the other yellow gold, every week! On average, I’ve been paying R90/kg for a kilo of cheese. Sometimes there’s a special and you’ll see cheese for R75/kg and I’ll buy 2kg because it’s cheap, I’m cheap, and properly sealed cheese can last 12 weeks in the fridge. Now if I have those 2kg in the fridge, and the next time I shop I see cheese is now R37.50/kg I don’t get upset that my cheese in the fridge is worth less, I just celebrate my good fortune by buying a few more kilograms! That’s enough fromage for this article, let’s look at some research so we can get an idea for the numbers involved here. One of the few financial advisers I quite respect is Warren Ingram. In 2010 he wrote an article doing some research on market crashes of more than 20% which affected South Africa between 1900 and 2010. You can read the full article here but to summarise, he found that the markets either recovered in 2 years or in 4 years. We’ll be pessimistic here and assume this crash will take about 4 years to recover from. This table was more complicated. I’ve got it set for a 4 year recovery to original levels, and then continuing at the overall market average of 17.6%. I also start with the dividend payment at the same monetary value, and decrease the yield as the share price increases so that after 10 years it’s back to 1.8%. Now let’s look at the numbers. Give me my free cheese! As you can see, if the market were to crash by 50% today, and you could continue to invest in shares at your current rate, you’d end up owning 1111 more SAB shares, and you’d be worth an extra R1.5 million. That’s a lot of free cheese, unless of course you decide to spend it on a car! *This applies to a global market crash. Individual shares can crash and never recover, think African Bank. An individual market can also crash and never recover, think Zimbabwe. *Another note, if you had less than R3 mil invested, your post crash gain would be greater.